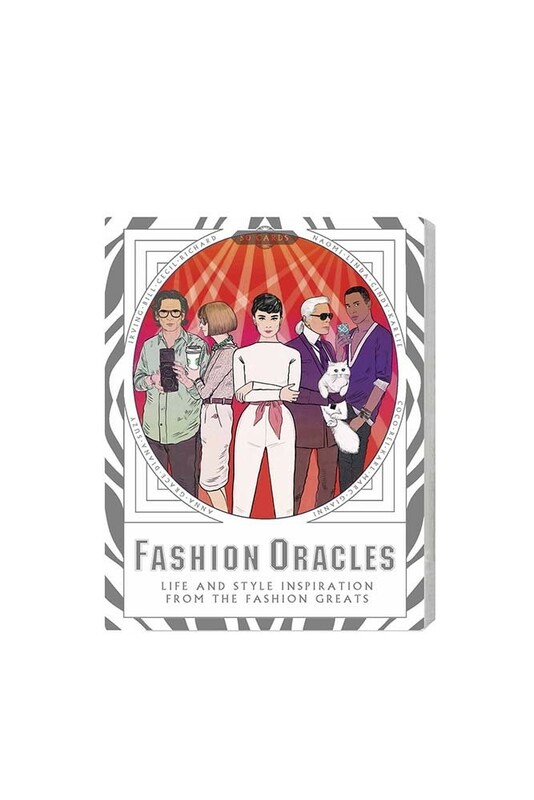 Be guided and inspired by the world’s great fashion icons with this creative and sartorially spot-on set of Fashion Oracles: 50 Cards Life & Style Inspiration From The Fashion Greats. Struggling to define your style? Worried your thinking is so last season? Want to break out of the box, but not sure how? 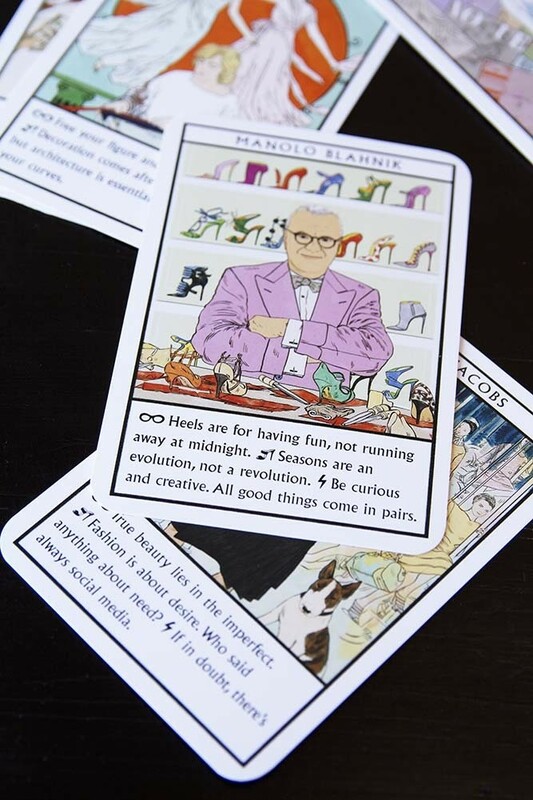 Chanel, Westwood, Lagerfeld and a host of great photographers, designers, and fashion muses are here to help. Simply select any card from the pack, choose the oracles’ advice on attitude, style, or inspiration and any obstacle becomes surmountable. 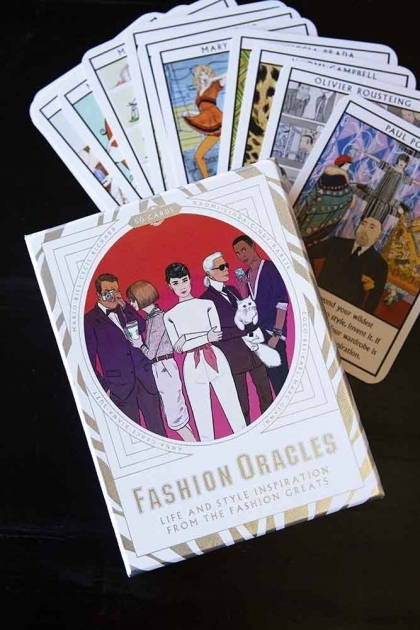 The accompanying booklet features the oracles’ fascinating biographies.